Nice colors for this modern CV! We particularly love the orange space, to highlight key information. 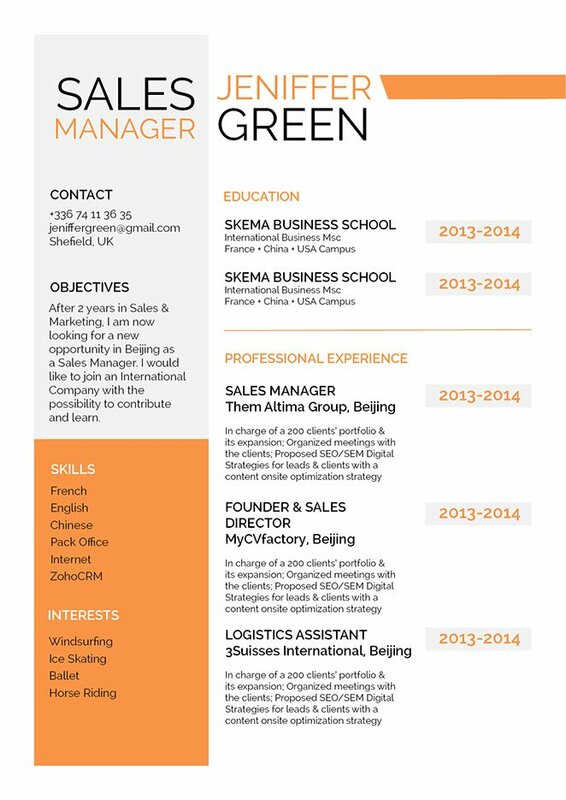 CV template to download "Interested"
The Interested Resume does and excellent job in highlighting all the key information in your CV! This modern resume template features an eye-catching selection of colors, shapes, and texts that create a resume lay-out perfect for any job type. 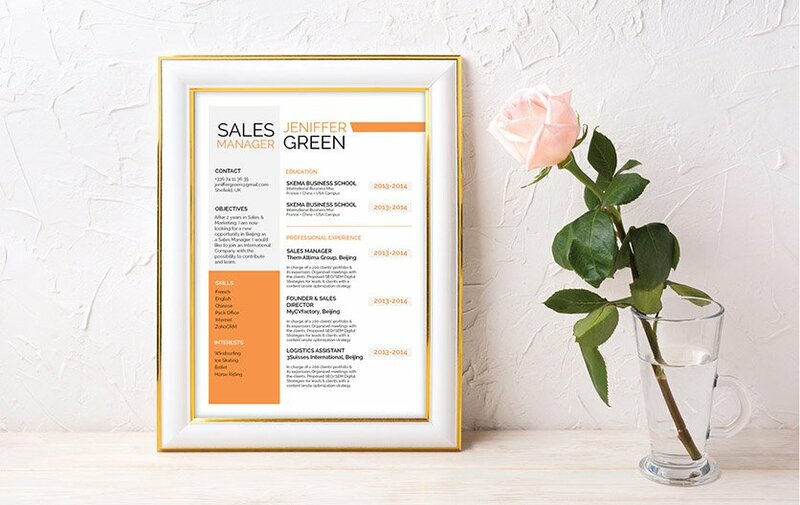 This resume will be of great use of applicants who have solid set of professional experience and skills, as all the content that are highlighted with the color orange and are also written in good detail. You will impress more hiring managers with this resume and of course you will land that dream job! What makes a resume more eye-catching?—It's a clear and comprehensive design. All the information in your CV should be presented in a well-organized manner since most resume are just scanned for 10-30 seconds. So in that short time frame your potential employer must immediately pick up on all the key content. Make sure to use simple, yet professional looking fonts (e.g. Calibri or Helvetica) choose a font size between 11 and 12, and use italic/bold font styles to help guide the reader's eyes. The use of graphics and symbols can bring emphasis on the key phrases of your CV (e.g. skills and accomplishments) Lastly, use headings and subheadings to give your resume a logical format that is easier to follow.